Hoodoo Minecraft PvP Game Guide and Download | Surviving Minecraft, Minecraft Adventures! Hoodoo is the newest minecraft PvP game, featuring assymetrical combat, custom classes and a massive arena that was seven months in the making. Built vaguely along the lines of TF2, Hoodoo uses class combat missions combined with an offensive / defensive game mechanic to pit teams of minecraft players against one another in a strategic free for all that will leave you breathless. And maybe blown up. Read more, check out screenshots, and download Hoodoo! 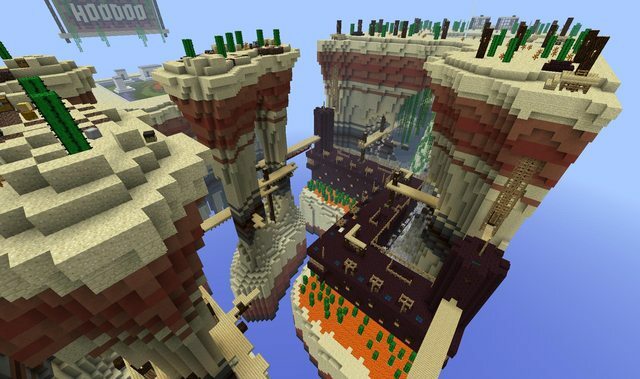 This entry was posted in PvP and tagged hoodoo minecraft map on August 11, 2013 by Hope.